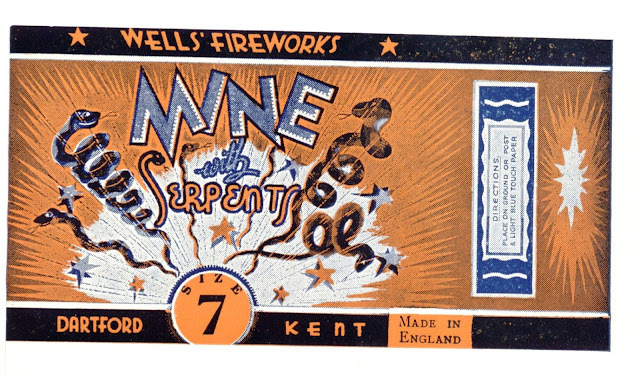 My soundtrack this evening is fireworks bursting, popping, fizzing, whizzing, exploding and rumbling from north, south, east and west, near and far. Oh, I absolutely adore Guy Fawkes Night. Living in a wee, tiny flat in the middle of London, I don't really have the option of having a celebratory party in my garden but I can enjoy the fun of unexpected bursts coming from all around me, occasionally catching a glimpse of a shower of stars in between buildings. My best Guy Fawkes Night was when I found myself staying out with relatives down near the south coast in a wee village. A massive, massive bonfire was lit in a nearby field and random fireworks went off all evening in the wonderful, still air of the countryside. Every year I think about reprising that night with a trip out to the countryside to partake in a local village bonfire night, but it never seems to eventuate. So, instead I enjoy the sounds of an old tradition in the big, modern city of London which is, in itself, admittedly rather lovely. Guy Fawkes always reminds me of that favourite childhood book too, The Owl Who Was Afraid of the Dark. Does anyone else know this book? It tells the story of Plop the baby barn owl, who is, as the title suggests, afraid of the dark. He is forced out of the nest to face his fears, and goes on adventures, meeting people and hearing about all the wonderful things the dark can be. The chapter, "Dark is Exciting" is set on Bonfire Night and Plop meets a young boy who is looking forward to the fireworks. In other chapters, Plop discovers that dark is kind, fun, necessary, fascinating, wonderful and beautiful. I'm shocked to hear that an owl could possibly be afraid of the dark! And saddened to hear how difficult it is for him. Perhaps the dark isn't so bad after all? Yes, I remember that cover too! I was lucky enough to have my own copy, in which I seem to recall I coloured in some of the drawings in red pen... Ahh, kids! Love your photo shoot with Barnaby. Lovely how you connected to that childhood memory and went with it! In the fireworks pictures, the blue/yellow silhouette one stands out for me. 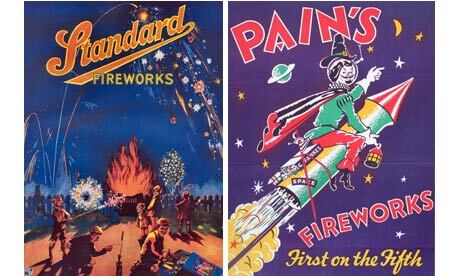 Curious choice of names they chose for brands - Pain's and Standard. One is, well, worrying, and the other is, well, boring! Yes, it was very impromptu, our photoshoot! Otherwise there would have been a more fitting background, but we had fun... I like the blue/yellow picture most of all too - the Catherine wheel particularly makes me think of The Owl Who Was Afraid of the Dark. But you're right about the strange names. I guess Pain's is someone's unfortunate name while Standard, I have no idea! I had thisbook as a child also and loved it but there was another book i remeber though the bane i have forgotten and its been driving me mad for years it featured owls and fireworks yet it so vividly described the Catherine wheels Any ideas?